Darlene J.S. Solomon, chief technology officer for Agilent Technologies, has been chosen to serve on the Visiting Committee on Advanced Technology (VCAT), the primary policy advisory board of the National Institute of Standards and Technology (NIST). Solomon’s three-year term runs through Jan. 2, 2013. Solomon joined Agilent Technologies when the company was first formed in 1999 and has also served as vice president and director of Agilent Laboratories. Prior to her time at Agilent, Solomon worked at Hewlett Packard as a member of the technical staff. With numerous patents and publications to her name, Solomon was inducted into the Women in Technology International’s Hall of Fame in 2001 and named to Corporate Board Member’s 50 Top Women in Technology in 2008. Solomon serves on numerous other academic and government advisory and review boards, including the National Research Council Review Committee for NIST, California’s Blue Ribbon Task Force on Nanotechnology (as the chair of R&D), and an external advisory board for the National Science Foundation Nanobiotechnology Center. The VCAT was established by Congress in 1988 to review and make recommendations on NIST’s policies, organization, budget and programs, and was recently updated by the 2007 America COMPETES Act. The next VCAT meeting will take place Feb. 2-3, 2010 in Gaithersburg, Md. For a list of all members and more information, see the VCAT Web page at www.nist.gov/director/vcat/. 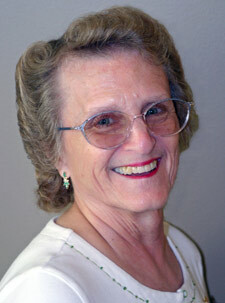 In October 2009, Joyce Bertozzi celebrated 50 years as an HP/Agilent employee. As far as we know, she is the company’s longest-serving active employee. In 1959, the United States gained its 50th state, Fidel Castro became the premier of Cuba, and the dark side of the moon was photographed for the first time. The integrated circuit was patented and the Barbie doll made its debut. In 1959, Agilent’s predecessor company, Hewlett-Packard, had revenues of $48 million and implemented a stock purchase plan for its 2,378 employees. HP became a global company that year by establishing a marketing organization in Geneva, Switzerland, and a manufacturing plant in Boeblingen, West Germany. Joyce was one of the lucky ones, and she took a job in HP’s printed circuit department. “This was before assembly lines,” Joyce says. “We did each step, which was nice. They would give you a box of boards and resistors. You would load the boards, then take them to the solder pot and solder them one at a time. They were soldered with an eyelet from top to bottom. Then you’d wash them in a dishwasher and clean them up.” The job paid $1.45 an hour. Fifty years later, Joyce Bertozzi is still hard at work at Agilent in Santa Clara, Calif. She is an administrative assistant for Agilent’s New Product Introduction team, which recently became a part of the Life Sciences Group. And she has no plans to retire. Joyce believes that today’s overall business world has changed – not necessarily for the better – and that the change has affected people’s lives. “Business is a lot more cutthroat than it was years ago,” Joyce remarks. “It’s more of a struggle than it used to be because there was less competition then. If you could build a good reputation and a good product, it was easier to survive. What does Joyce see as the biggest change in the company over the past 50 years? “Probably the split [in 1999], when they made it two companies. Joyce is congratulated on her long career by Agilent executives (from left) Lon Justice, Bill Sullivan, Chris Toney, Nick Roelofs and Mike McMullen. Each year, Test & Measurement World editors choose finalists in various instrument categories for their “Best in Test” and “Test of Time” competitions, then ask readers to vote for their favorite finalists. For 2010, seven Agilent products have been named “Best in Test” finalists and one product, the 89600 vector signal analysis software, made the “Test of Time” finalist list. Voting ends February 19 and winners will be announced April 1.